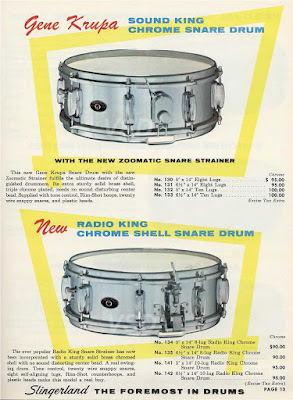 Finding the right voice for a new song in the studio often involves trying out new snare drums or upgrading existing ones. As a result, my snare drum arsenal has evolved a bit since My wife thinks I have too many snare drums, a post from just over a year ago. 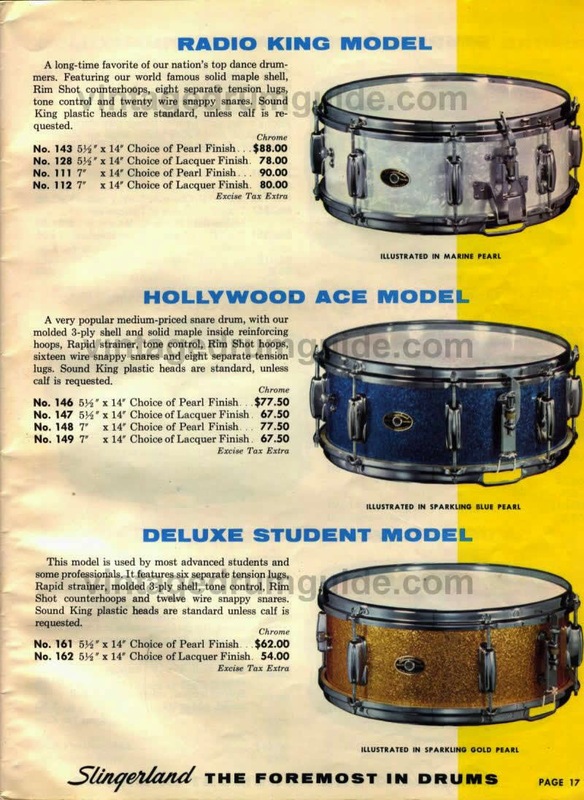 As you can see, there are excellent options available to the budget-conscious drummer looking to build up his or her snare drum arsenal. Happy drumming! Electronic drums are an excellent solution for practicing in residential or other quiet settings, as well as for gigs at smaller venues where acoustic drums would overpower the rest of the band, such as house parties. 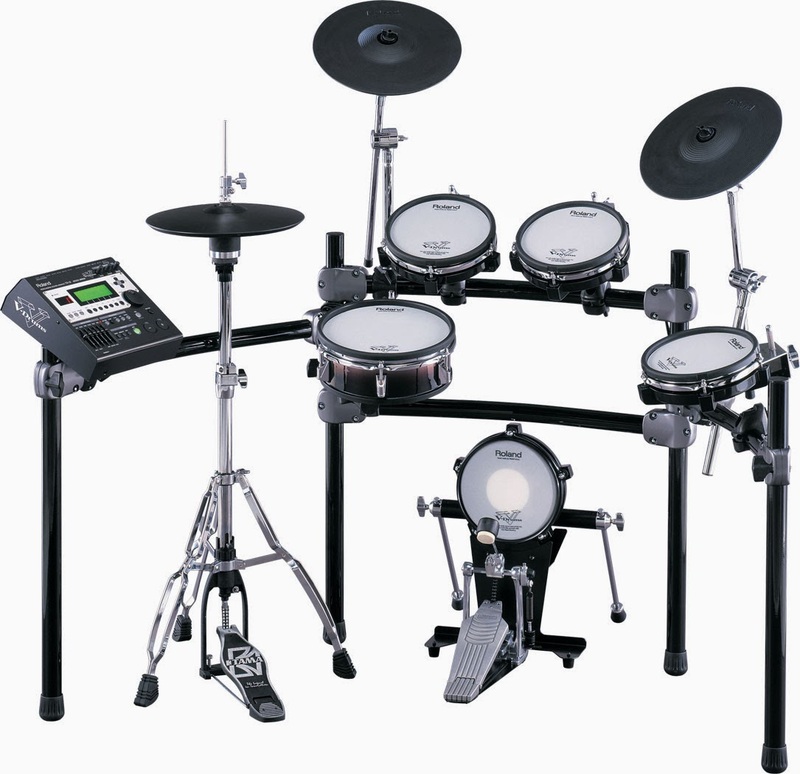 However, the compactness and other qualities of electronic drums can create challenges for drummers moving between electronic and acoustic kits. In this post, I'll cover some of these challenges and how I work around them. 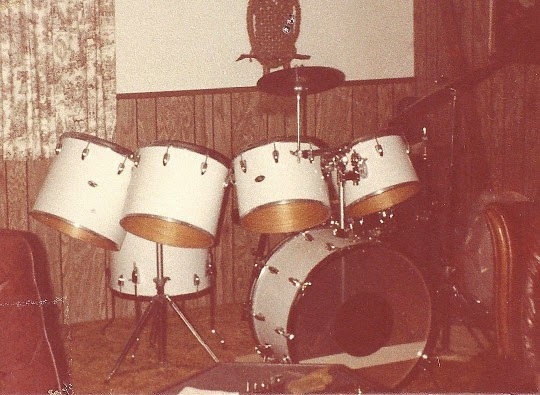 I bought my electronic kit in late 2006, a Roland V-Drums TD-12S with a few add-ons: (1) an additional P-85 drum pad, (2) a CY-5 cymbal pad that I use as a "splash", and (3) a CY-8 cymbal pad. The TD-12 sound module provides 560 different drums instruments with thousands of variations, and includes 50 pre-configured drum kits. The mixer is reasonably intuitive once you get used to checking whether you are in instrument or kit mode before adjusting settings. 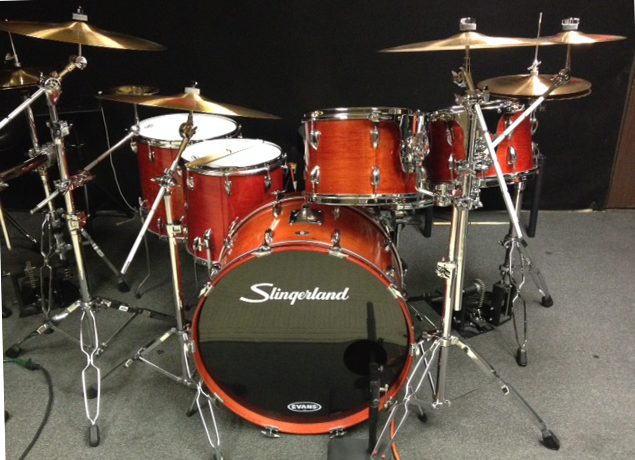 The TD-12S includes a double-wing rack, which offers a great deal of flexibility in arranging the drum and cymbal pads. The rack also provides fairly good cable management out of the box, partially concealing the cables that connect each pad to the mixer. 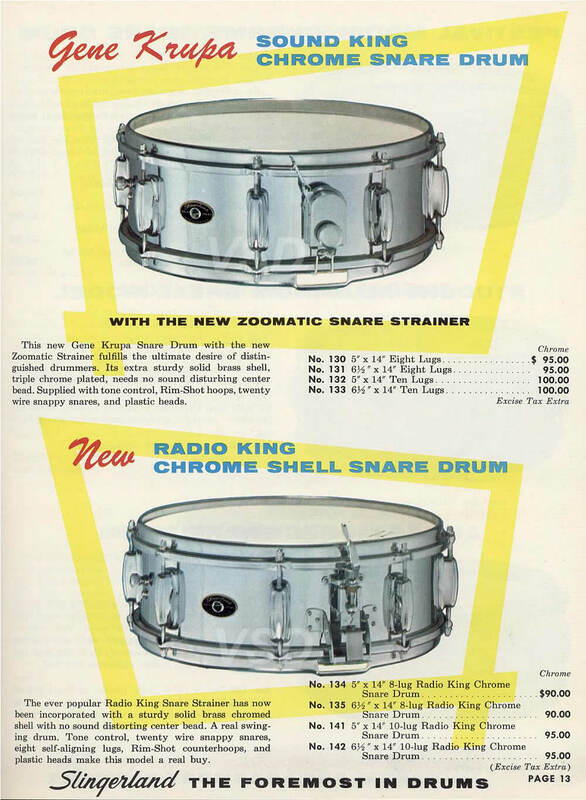 In all of the product photos from the Roland catalog (see example to the right), you see the traditional two-up tom configuration, with the rack toms centered over the bass drum, as pictured here. The rack seems to be designed for this configuration. 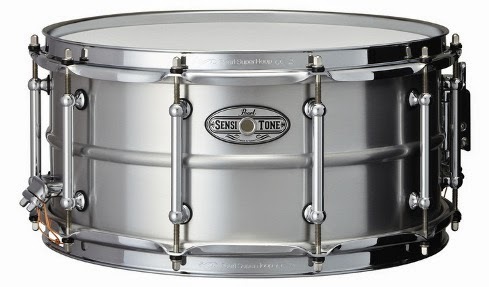 But what if you play a one- or two-up configuration with the rack toms offset from the bass drum? 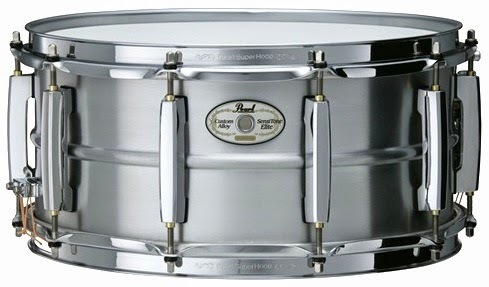 As readers of this blog know, this is my preferred setup--positioning the ride cymbal over the other side of the bass drum feels more comfortable to me and draws the floor toms in closer to the bass drum. As you can see in this photo of my TD-12S kit, with some creative pad placement, the TD-12S rack supports a "two-up offset" configuration. Note that my rack toms splay out as if they are mounted on a double-tom stand. This enabled me to offset the leftmost rack tom further left than the left front rack post, and center the bass drum on the rack. I think this is a lot less awkward than simply moving the entire rack to the left, which complicates floor tom placement. As you can see in this photo, I used a rack clamp to stabilize the two-leg hi-hat stand. This little trick works with any winged rack, as you can see if you look closely at the acoustic kit in the background. This photo also shows how the mounting the cymbal stands low on the rack helps keep the cymbals low while minimizing the number of booms sticking out from the kit. My bandmates no longer have to worry about becoming shish kabobs while we are rehearsing. So, what is the point of this detailed look at arranging my electronic drum pads? Playing similar configurations on both my acoustic and electronic drum kits eases the transition between the two. Obviously, the electronic kit utilizes smaller pads, but if I can arrange them so that my hands fall to roughly the same spots while playing on either kit, I notice fewer muscle memory issues. In other words, my stick tends to fall to the splash cymbal at roughly the same point in space whether I am playing my V-Drums or my PDP acoustic kits. I have also noticed that when I move from the V-Drums back to my acoustic kits, accustomed to the smaller targets, I tend to play more to the centers of the heads. I'm including a couple of additional views of the two-up offset setup of my V-Drums below. Hopefully this gives you some ideas on how to arrange your electronic kit in a way that works best for you!